P.S. You Are Here from Denver Arts & Venues on Vimeo. In 2014 P.S. You Are Here provided $40,000 in grants to eight community-led groups in the City of Denver including Redline, La Alma Neighborhood Association, Whittier Neighborhood Association, Chaffee Park, Athmar Park Neighborhood Association, VSA/Access Gallery, Birdseed Collective and Jefferson Park Business Improvement District. Neighborhood: This project encompassed three neighborhoods in Denver’s RINO area including: Globeville, Elyria, and Swansea. Site: E 48th Ave. & Claude Ct., E 47th Ave. & Columbine St. E/W, W 46th Ave. & W 45th Ave., Lincoln St. & 48th Ave., E 40th Ave. & Steele St. Description: Through inspired collaboration and grant support from P.S. You Are Here, Birdseed Collective worked with Globeville Elyria Swansea (GES), LiveWell, RTD, Denver Public Works and community residents to identify six bus stops near the Bruce Randolph School, Swansea Elementary and Garden Place Elementary, and install and beautify bus benches. Lead artist Anthony Garcia Sr. decided the art would be a serape design – based on the long blanket-like shawl, often brightly colored and fringed at the ends. 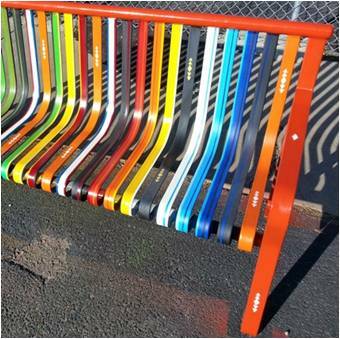 These projects in GES have transformed once vacant spaces into vibrant areas for resident and student transportation. 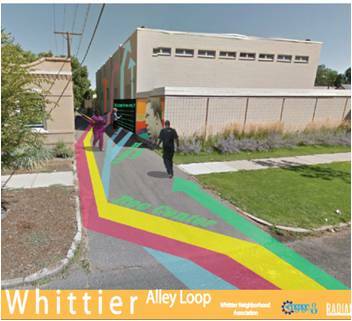 Description: The Whittier Alley Loop is a creative urban intervention, transforming under-used alleyways and connecting important places within the Whittier neighborhood. 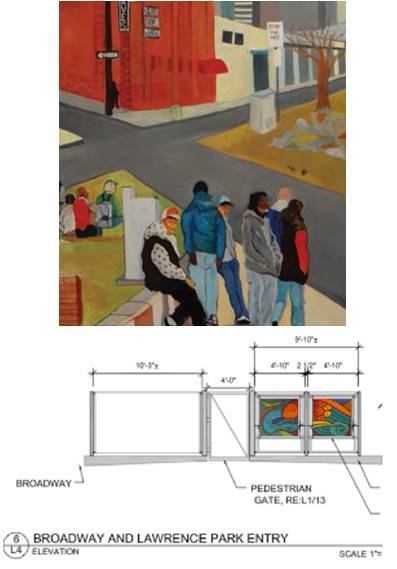 The project creates unique public spaces and demonstrates that alleyways can become creative neighborhood assets, instead of just utilitarian right-of-ways. 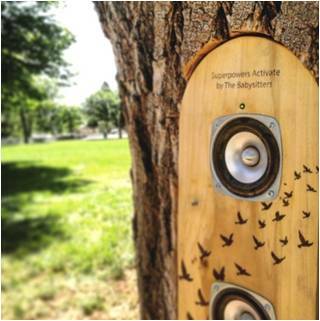 Description: The Butterfly Walk in La Alma Lincoln Park, along Mariposa Street between 11th and 12th avenues, activates common space, encouraging people from different cultural and economic backgrounds to build consensus and participate in a positive project for the common good. 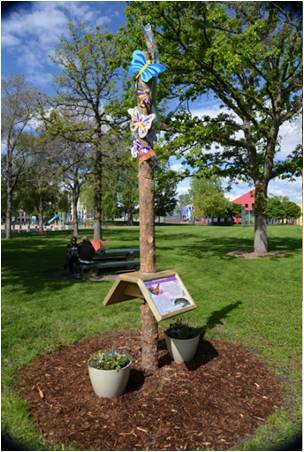 Inspired by the Spanish word for butterfly (mariposa), this project encourages positive activities in the park and improving overall conditions for the neighborhood. Description: VSA Colorado/Access Gallery is an organization dedicated to increasing access to the arts for people with disabilities and other underserved populations. 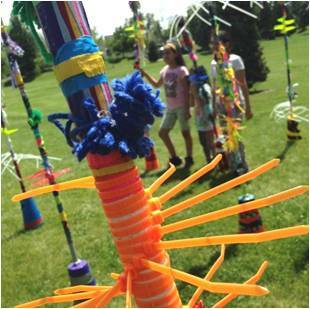 The concept of bridging and connecting is the core of VSA Colorado/Access Gallery's efforts and inspired “Story Poles.” This project was designed to reach a wide variety of ages, backgrounds and abilities, through community workshops that created vibrant artworks that were later installed in various locations including Denver Public Library: Byer’s Branch, Sunken Gardens Park and Gabriel’s Community Garden. Through this project, RedLine’s Reach Studio Program aimed to reactivate the Triangle Park space, creating a sense of community investment, and bringing together the neighborhood to breathe new life into a historically troubled area of the city. An emphasis was placed on engaging communities and individuals who were dislocated by the closing of the park. Reach Artists engaged their peers and other community members to create art panels displayed above the gated entries to the Triangle Park/Denver Urban Gardens space.